I will be the first to say... that I do not watch organized sports. So when I signed up for the March Blogger Match-Up, I literally had to Google the college that I am paired with. I now can say (proudly) that Wofford College is in South Carolina. Please cross your fingers because they play tonight against Arkansas. 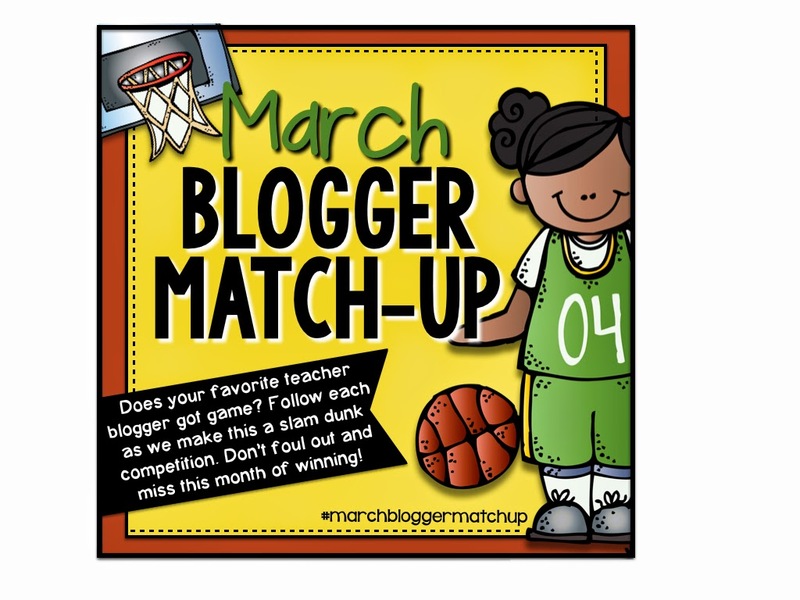 Go check out all the awesome teacher bloggers that are participating in the Blogger Match-Up at The Creative Classroom. Enter to win my newest TPT product!!! Telling time is always a doozy...my students are always an hour ahead when the minute hand gets close to the top of the hour! It's amazing how many of my students have difficulty telling time. Then again, nowadays the classroom is just about the only place most of my students see an analog clock anymore! Telling time can sometimes be a difficult concept for students to grasp. I love your blog design! So excited that you were part of our amazing Blogger Matchup too! !